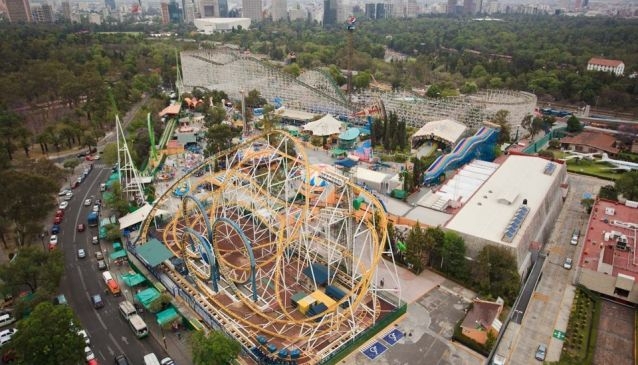 Situated not too far off Mexico City's centre, La Feria Chapultepec is a fun outing for the whole family. The theme park has installations for all ages. There are rides for the little ones, such as 'Flying Carousel' and adrenaline rushes for the 'Braver Souls', like the house of horror. The park also features a pool where it houses dolphins, who regularly put on a spectacular show. Within the theme park there are various restaurants, so you are bound to find something that will agree with everyone. The park also often hosts live events, which can range from circus acts to live concerts. All in all it is a very affordable experience and bound to be a fun day out for the whole family. Be sure to bring a change of clothes, because some of the rides can get pretty wet.